I created this skin by spreading out leftover paint from my pallet inside the drawer. I have been using one of the drawers often as a pallet. This is what lead me to clean out the organizer to use it as a curing station for acrylic skins. 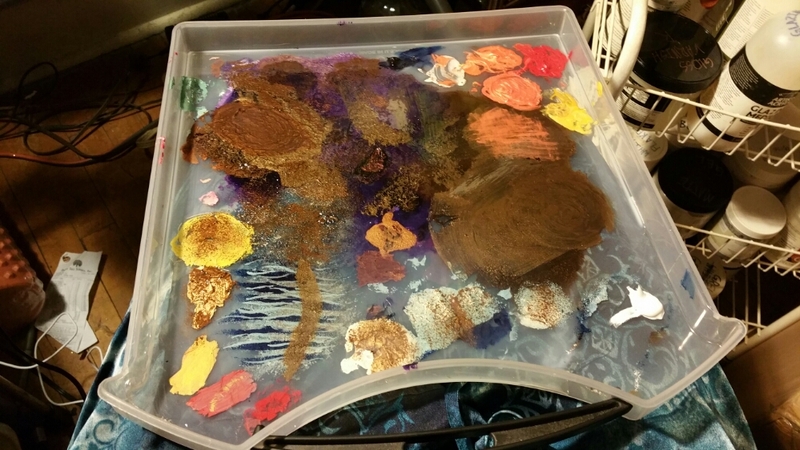 The organizer drawers are the right type of plastic because the acrylic paint peels off easily once dry. The skins take up to two weeks to cure completely depending on how thick they are. I will now be able to create multiple large skins at once while keeping them out of the way and dust free.